One of our wedding presents was a weekend in a Parador. 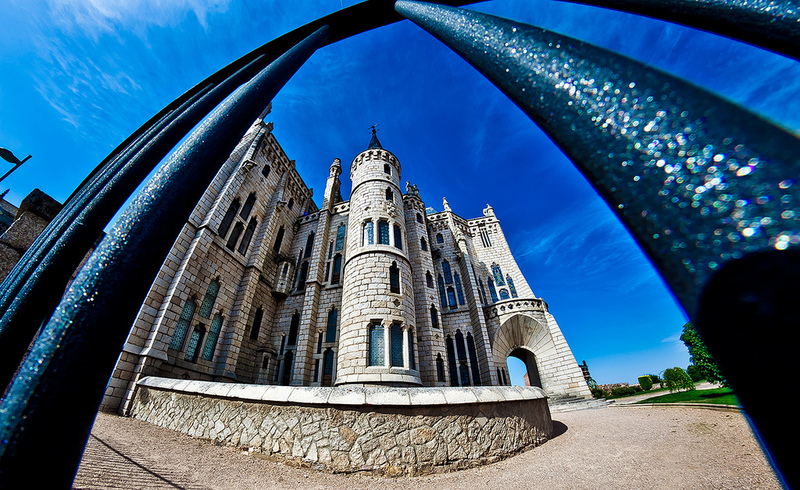 These reconverted castles, monasteries or important buildings are one of the only positive legacies from “Generalissimo” Francisco Franco which can be found throughout Spain. Last November, we decided to book a Parador in Leon: the capital of Castilla and Leon, notably famous for being on the Route of Saint James, (Camino de Santiago) and for Cecina. Clearly, we came here for the latter. Upon arrival, we immediately walked the cobblestone streets in active pursuit of that beautiful, air dried beef. Stumbling upon a cute little bodega nestled right next to the Cathedral, we were served thinly sliced Cecina, with a drizzle of extra virgin olive oil, a sprinkling of black pepper and a side of Marcona almonds. As the flavor and texture were ridiculously good, we inquired of the owner where we could buy it. He told us the best Cecina can be found in Astorga, a small town about 40 minutes away from Leon. Without a second thought, we dashed off to the main square in Astorga, where the shopkeeper at “La Casa de La Cecina” lovingly vacuum packed our freshly sliced Cecina – each bag drizzled with olive oil so it would remain tender before she sealed it. According to the shopkeeper, Cecina was traditionally a very humble product, made by farmers within their homes. As all houses in the region had a hearth, and a few farm animals, this was a particularly easy way to cure the meat for storage during the long winter months. Originally made from horse or donkey meat. When your work animal grew old, and hit that golden moment of “retirement”, it became cecina. But because of the decline in consumption of horse meat in the last 20 years, beef Cecina has not only become more popular, but just about the only type you will find outside of Leon. Quality of the beef – using specifically hindquarters of cows that are a minimum of 5 years of age, and a minimum weight. The characteristics of the region – Cold and dry winters, with long freezes and a minimum elevation (1000 meters) facilitate the excellent natural curing of the product. Artisanal production – the highest quality beef, salt and natural smoke are the only ingredients used in elaborating Cecina de Leon. It is always done in the coldest months, from November to March, and taking care of each individual piece. It consists of six steps: Cutting, salting, washing, resting, smoking and ageing. It took a little research to understand why the Cecina we had for Christmas was completely different to any other we had tried before. But considering how quickly it disappeared off the plate, I’m not sure research mattered. My family’s only concern is that we’ll be bringing some with us for next year’s Christmas banquet. And next year, I guarantee Cecina will be given the preferential platter and the reverence it truly deserves! 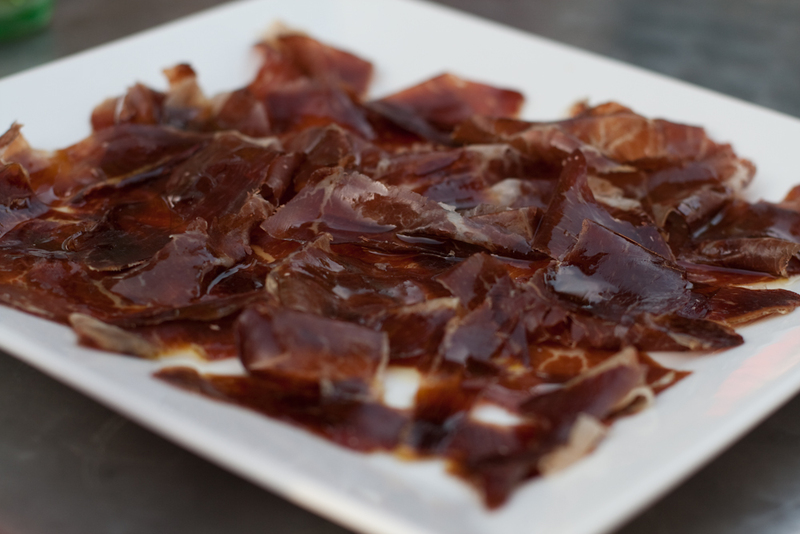 If you’re looking for Cecina in either Barcelona or Madrid, check out our tours where our recommended guides will give you the royal gastronomic tour of the best Cecina in Spain!